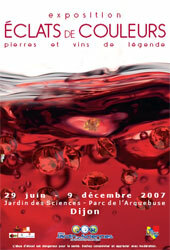 The show, which runs through December 9, was produced in partnership with the French National Museum of Natural History and the Interprofessional Bureau for Burgundy Wines, as well as the Jules Guyot Institute (a winemaking school) and the UNESCO Chair of Wines and Culture (a cultural and scientific networking body). 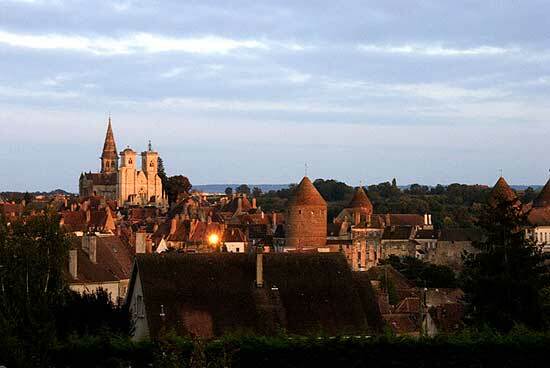 On September 22, Bill returned to France to be inducted into the prestigious wine tasters’ fraternity of the Burgundy region, the Confrérie des Chevaliers du Tastevin (Brotherhood of the Knights of the Tastevin [tasting cup]). The Confrérie was founded in 1934, taking as its inspiration the disbanded bacchic brotherhoods of the 17th and 18th centuries. The Confrérie’s establishment allowed focus to be placed on local wines that were of particular quality, but that had languished due to the economic crisis of the late 1920s and ’30s. 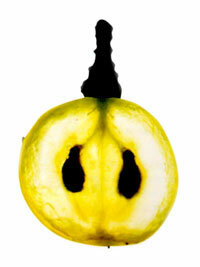 Yet, the “Tastevin” does not just receive “anyone” no matter how successful he or she may be. It appreciates merit as well as talent, it likes to honour courage, personal endeavour, scientific intelligence, the love of France and fulfilment of human values. 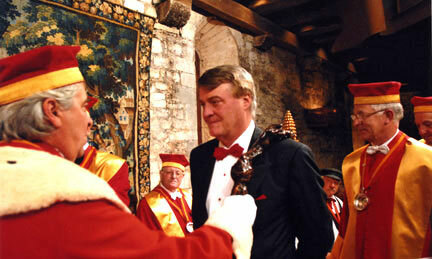 Knighted. 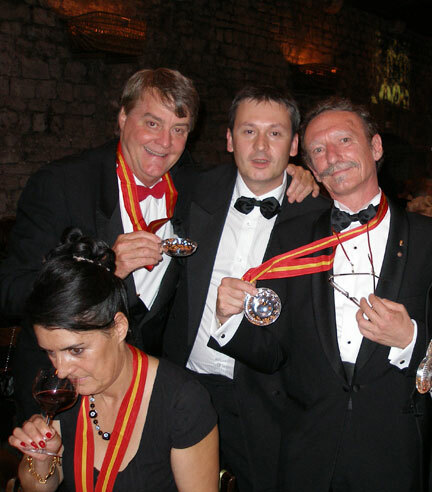 Newly inducted chevaliers (knights) of the wine tasters’ fraternity, Bill Larson (left) and Giancarlo Parodi (right), show off their tastevins (tasting cups) to connoisseur of fine wines and minerals (and “Flashes of Colour” contributor) Alain Martaud (center), as fine artist Joyce Delimata, also inducted, checks the nose on a glass of local red. Delighted. 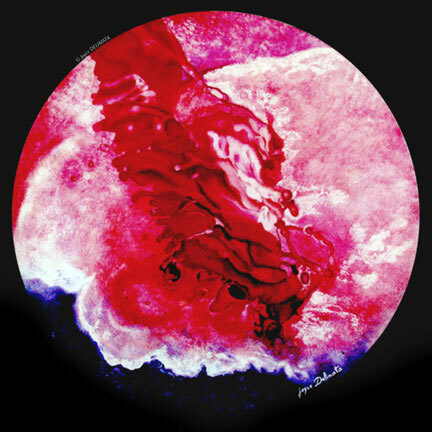 Delimata’s image below was featured on the Chapitre’s ceremonial booklet. 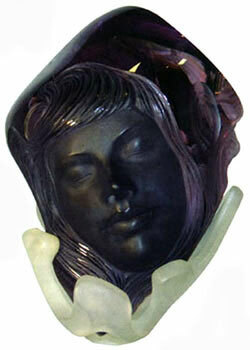 She also showed her work in conjunction with the “Flashes of Colour” exhibition. 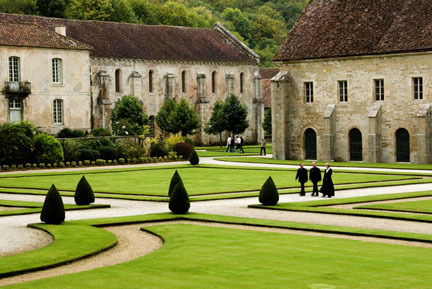 The timing was right for Bill to attend a symposium held the next day at yet another abbey, L’Abbaye de Fontenay, also in Burgundy and also Cistercian (the order of St. Bernard of Clairvaux). The subject of the symposium was the medieval composer and visionary, Hildegard of Bingen. Bill joined Giancarlo Parodi, curator of the Dijon exhibition (and Lecturer at the National Museum of Natural History, Paris), Parodi’s friend Sophie, and Françios Farges for the scholarly affair. 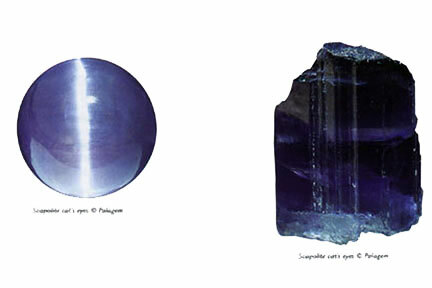 Farges, who is Professor and Chief-Curator of the National Natural History Museum in Paris, would deliver a lecture on Hildegard’s contributions to mineralogy (she authored a lapidary, amongst other works). The abbey at Fontenay is a fine example of Romanesque style. 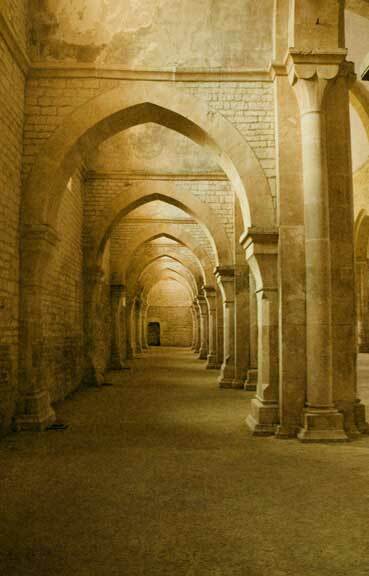 Except for one building that was destroyed (the refectory), all the rooms have been preserved. The garden, pictured below, was originally used to grow medicinal herbs. It was recently redesigned by garden architect Peter Holmes. 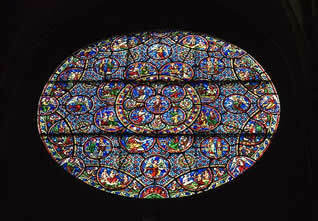 Included are items from the French National Museum of Natural History, private collections, and national museums, as well as wines by the great vintners of Burgundy and beyond. In conjunction with the exhibition are wine tastings, “experiments on light and color,” workshops on sensory perception, conferences, and more. The French approach to this exhibit has been very novel and eye opening in its way of describing color as it traverses through different mediums. To associate the common colors we see everyday—through the craft of painting, wine, and stained glass—with colors that are naturally born in gems—through complex pairings of elements in unusual conditions within the earth—is a mind-blending idea. Behind this idea is Giancarlo Parodi, friend and associate of Pala International. 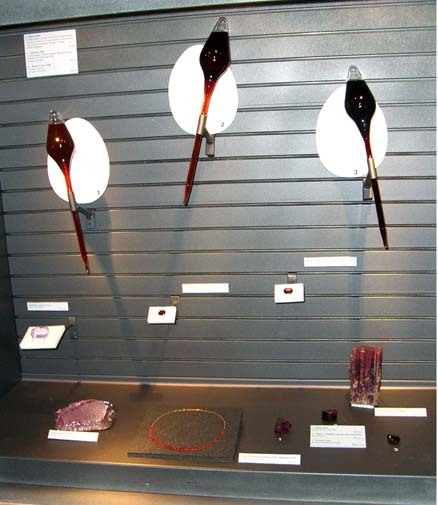 Bill’s ability to share Giancarlo’s vision was crucial in assembling the gems and minerals capable of exhibiting the full color palette that would eventually be tied to their common color counterpart in the liquid medium of fine wine. This beautiful relationship of color was indeed realized and became a masterful exhibit. Also playing an instrumental role in the production of the exhibit was François Farges, curator of the National Natural History Museum. Bill’s continued interest in and enthusiasm toward working with many of the world’s great museums has brought wonderful and colorful exhibits to the forefront of display. With a passion for everything gem related he has utilized museums as conduits to bring the science and intrigue of gems and minerals to the public. 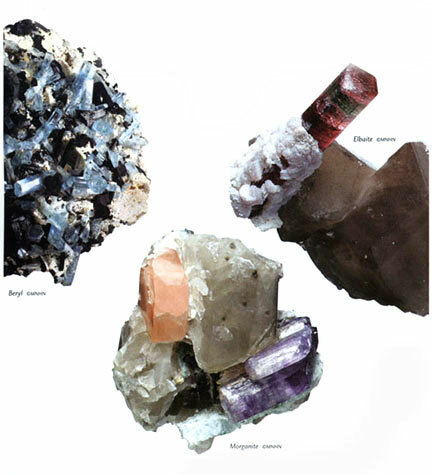 This symbiotic relationship—with Bill as supplier and the institution as showcase—has allowed for many public mineral spectacles and, consequently, instilled the sense of a communal necessity to indulge in mother nature’s creations. 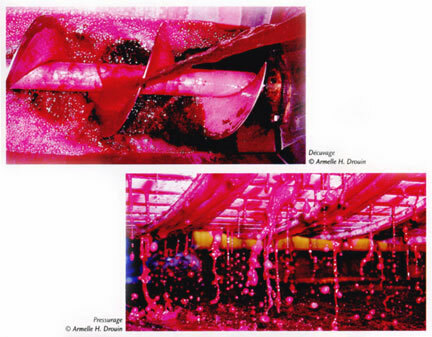 Intentions are now focused on bringing this “Flashes of Colour” concept across the pond to the U.S., allowing the rest of us to delight in the sight and taste of color. 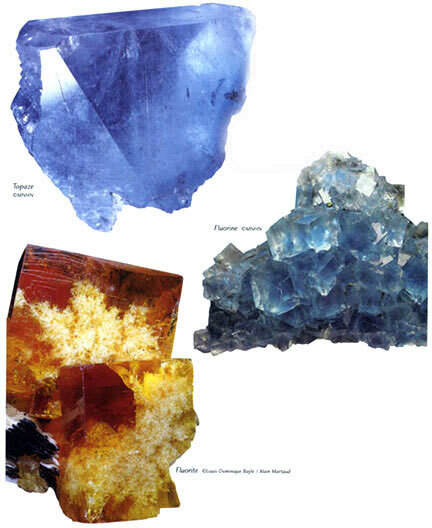 Below is a sampling of some of the gems, minerals, and carvings that were featured in the exhibit and pictured in the collection catalog.